This 1954 made for television film featured the first ever James Bond gadget. It was a pretty good one, too. It was exciting stuff. Barry Norman was the first Bond. Linda Christian was the first ever screen Bond girl, and screen legend Peter Lorre played Le Chiffre. 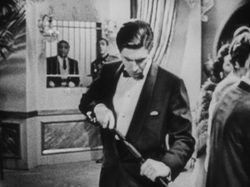 The show was popular enough for CBS to offer Ian Fleming a TV series. He was said to have written outlines for half a dozen shows before CBS made the hideous error of dropping the project. For the very biggest fans of the movies, it is worth remembering that there was life before EoN. In the film's opening sequence, Bond's ally Clarence Leiter ask, "Aren't you the fellow who was shot?" James Bond replies, "No, I'm the fellow who was missed." And on to the first ever Bond gadget. Le Chiffre henchman Zoltan reveals a gun that passed for a cane. Genius. The fate of the gun was a gift from Bond to Leiter, for Scotland Yard's Black Museum. Homage was paid to this particular gadget on the 40th anniversary of the Bond movie franchise by Robbie Coltrane's Zukovsky character, who has a walking stick that doubles as a cane in The World Is Not Enough, nearly half a century later. Remington were said to be the first major manufacturer of the walking stick or walking cane gun in the 1850s. Mostly manufactured for men, invariably city dwellers, who would use them for self defence if required. 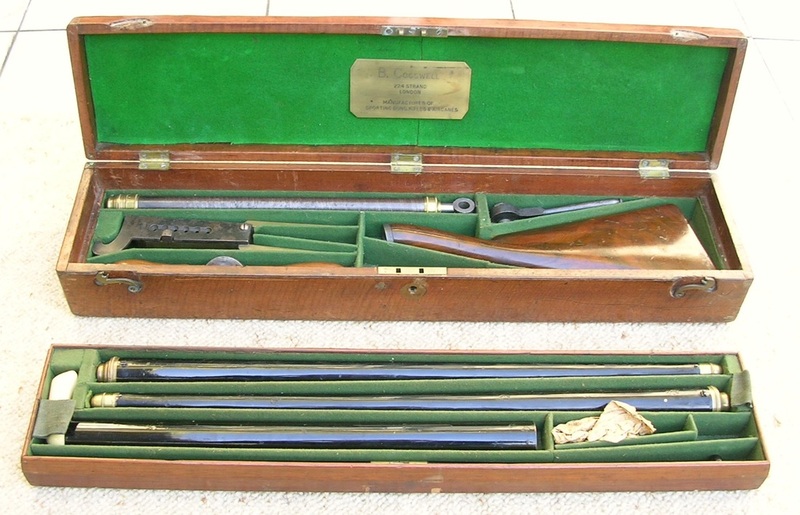 Cane guns were able to take large calibre cartridges and would be used like shotguns. Although they were not mass produced to any extent, variations included blow dart and flare options. The sword cane was already a long established weapon, and it was upon this notion that the cane gun came about. The Cane Gun is a highly sought after collectable and although prices can start at £150, they often sell for up to £5,000. We found the pictures below at a website called Mick's Guns, which feature's a collector's personal collection. The style reveals little, but the cane reveals the barrel. The above is described as "The Ultimate Can Gun - B Cogswell's Masterpiece"
The modern equivalent of a Cane Gun, for which you would of course require a licence and a rakish grin, would be the Cane. 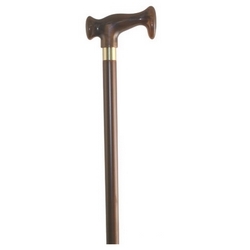 Yes, a straight forward, no gun included walking stick, which you can purchase at the outlet below. However, also popular, would be walking poles, which have become very popular with Nordic Walkers, which is a fast growing activity. 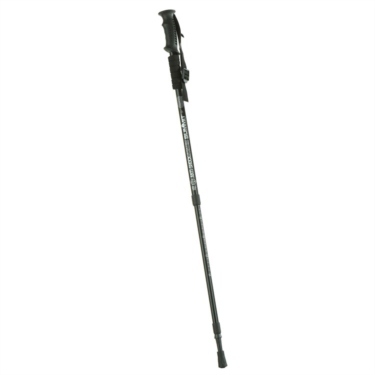 The Summit Expedition Trekking Pole is available for just £10 at this store.